Carlsberg Launches Young Scientists Community - The Carlsberg Group is looking for the world’s brightest young postdocs to work in a community of scientists, including postdoc fellows, experts, universities and laboratories such as the Carlsberg Research Laboratory. At the World Economic Forum in Davos, the Carlsberg Group announced the launch of a Young Scientists Community aimed at addressing some of the world’s major challenges related to climate change and water scarcity. The Community offers an amazing opportunity for young scientists to build on achievements made at the historic laboratory and develop exciting new projects that set new industry standards for science-based and partnership-driven sustainability research, developing solutions for a better tomorrow. The Carlsberg Young Scientists Community will develop innovative solutions for some of the world’s most pressing challenges and help deliver on the Carlsberg Young Scientists Community Hero Visual Group’s ambitious sustainability programme Together Towards ZERO, focusing specifically on ZERO carbon footprint and ZERO water waste. The Group’s carbon targets are recognised as being in line with what is required to achieve the Paris Agreement’s more ambitious target of 1.5°C, and underline the Company’s commitment to contribute to the Sustainable Development Goals. “We are looking at all options to reduce the environmental impact of brewing, and the young scientists will play a key role in this work. The Young Scientists Community will identify innovative solutions for achieving our 2030 targets within water and carbon for the benefit of the Carlsberg Group and the world,” he further added. The Carlsberg Young Scientists Community will be led by the Carlsberg Research Laboratory – home to ground-breaking innovations such as the pH scale, purified yeast and climate-tolerant barley. The Community will have access to the global Carlsberg Group value chain and expertise, as well as opportunities for testing the scaling of new solutions. Creating awareness is crucial to achieving the sustainable development agenda by 2030. 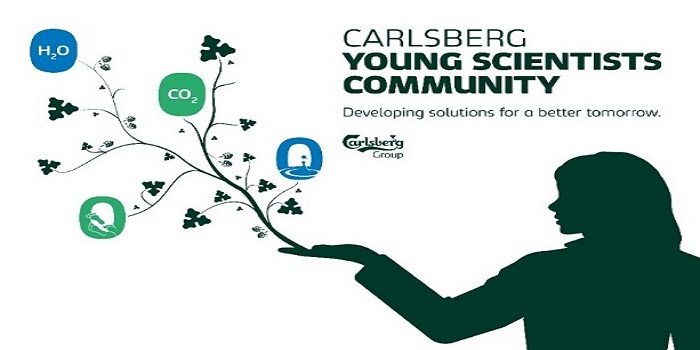 Thus, the launch of the Carlsberg Young Scientists Community is accompanied by a social media activation entitled ‘The best job for the world. Probably’.